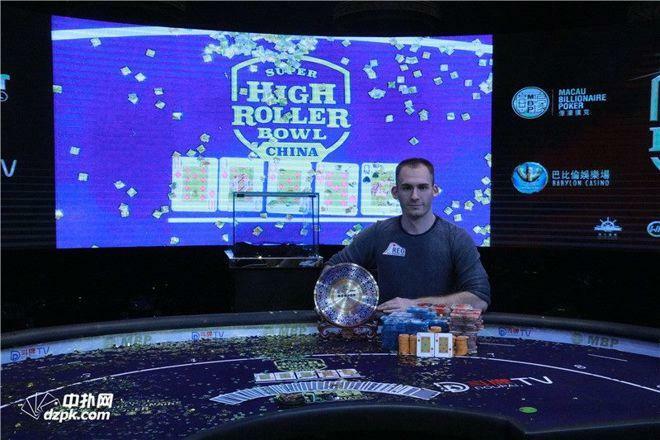 American poker pro Justin Bonomo has banked the biggest payday of his career by winning the inaugural Super High Roller Bowl China for $4.8 million. When the $267,000 super high roller reached a final table of seven on Thursday, Bonomo held the chip lead. With 75 entries collected and the $12.7 million prize pool breached, the former online pro was in line for his biggest ever payday if he could hold onto his dominant position. Standing in his way, however, was a veritable murders’ row of talent. Second in chips at the start of the final session was Patrik Antonius, closely followed by David Peters, Dominik Nitsche and Stephen Chidwick. As the cards started to fly, Peters was the first to fall after his A♠Q♣ lost a 50/50 all-in against Rainer Kempe’s pocket tens. With a ten on the flop, the American needed a lot of help to survive, but he soon saw his tournament come to an end when the 8♥ on the turn left him without any outs. With the elimination floodgates now open, England’s Chidwick soon followed Peters to the rail, as did Bryn Kenney and German pro Nitsche. By the time three players remained, Kempe looked to be the player in form, but a smooth move from Antonius quickly halted his run. After calling on all three streets with a set of fours, Kempe could only tap the table as Antonius matched his 10♣8♣ with the J♦4♠7♣A♣3♣ board for a winning straight. 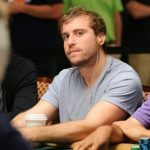 Despite there being $1.7 million between first and second place, neither Bonomo or Antonius discussed a deal. 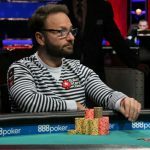 With more than $35 million in live tournament earnings between them, the small matter of almost $2 million didn’t seem to faze either player in the final throes of the event. 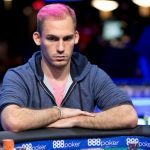 As a live web stream direct from China beamed the heads-up battle to the masses, Bonomo gradually asserted his dominance over his Finnish counterpart. Using the chip lead to his advantage, the tournament was brought to a conclusion when Bonomo’s 5♦7♦ flopped a flush. As per DZPK.com’s updates, a flurry of bets on the flop, turn and river committed Antonius who had to settle for second place with a straight. When the dust had settled, Antonius took to Twitter to thank his supporters and say he was “very happy” with second place. Bonomo, on the other hand, used a slightly more colorful phrase to describe his emotions after the biggest win of his career. 3 elimation, 3 fours vs straight???????????????? Great to see 2 old names battling it out. Love that they declined a deal for that big a swing. Love to see Patrick play some more televised cash in the future. It must be thrilling to play for that kind of cash ! Nice work Mr Bonomo. This final table is absolutely fun to watch , they are all top poker players , and I’m very happy for Bonomo such a great player , congratulations for that huge win .